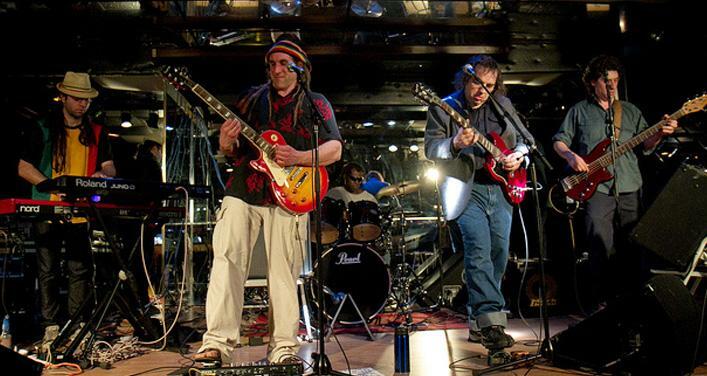 Formed during summer 2004, the reggae band Rootsteppers took time to find a permanent band name. Drummer Richard Marescot, bassist Simon Bélanger and singer and guitarist Jeremie Coulombe, composed pieces for several years. Over time, the group has had several associated musicians, eventually taking its final form with the arrival of Hans Stutz (voice and guitar) and Nicolas Proulx (keyboards). Written in English, French and Spanish, the Rootsteppers’ songs mean to go as close as possible to Jamaican roots, with their festive and hearty flavors,brighten up with a Quebec touch. They draw their inspiration from the repertoire of famousartists like Bob Marley, Burning Spear or Israel Vibration. Thus, Rootsteppers take place through their music in the great tradition of reggae in disseminating the values of this music genre: love, peace and unity.